Bingo Kasuri is a product of the history of encouraged cotton cultivation during Edo period (1603-1868) around coastal areas of Fukuyama. It is one of the big three kasuris in Japan amongst Iyo Kasuri and Kurume Kasuri. 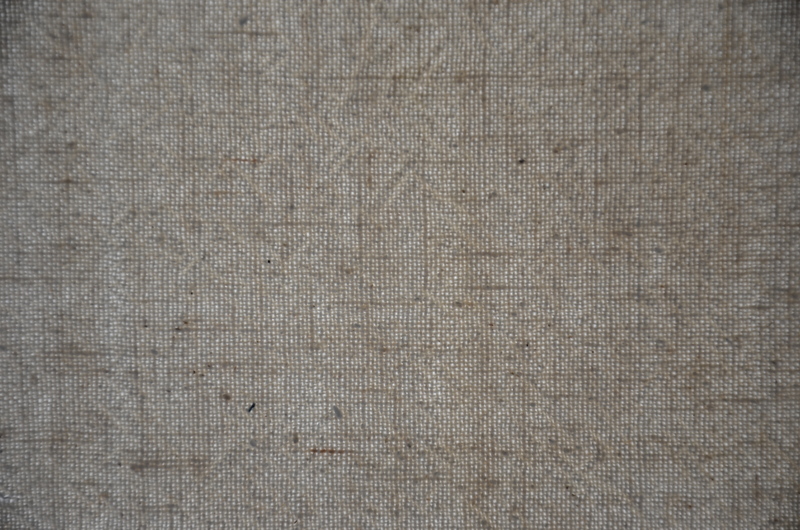 Bingo kasuri is mainly produced by cotton, and due to its high durability and excellent heat retention, the textile was widely used as work clothes. 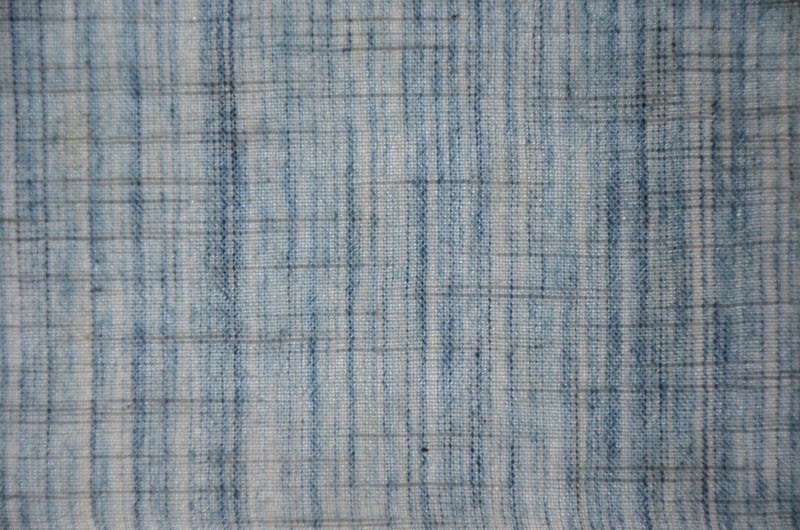 In other words, it can be said to have been the “Japanese denim”. Despite the fact that 70% of Japanese kasuri manufacturing was Bingo Kasuri at one stage, there are now only two producers of Bingo Kasuri due to the westernisation of clothes and the plummet of demand. On the other hand, the functionality and warmth of this material is being recognised once again. 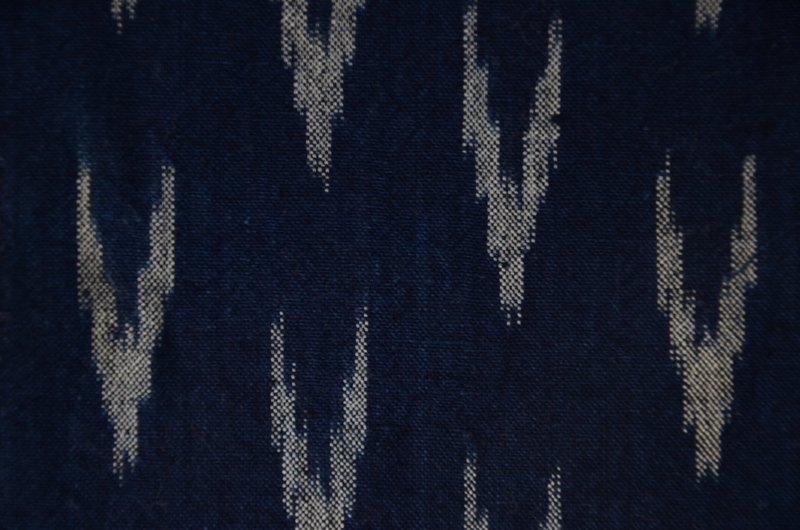 Kasuri is the name of the pattern, but we have the plain textile also. Bingo Kasuri is a product of the history of encouraged cotton cultivation during Edo period (1603-1868) around coastal areas of Fukuyama. Due to its high durability and excellent heat retention, the textile was widely used as work clothes. In other words, it can be said to have been the “Japanese denim”. Bingo Kasuri is a product of the history of encouraged cotton cultivation during Edo period (1603-1868) around coastal areas of Fukuyama. Bingo Kasuri is a product of the history of encouraged cotton cultivation during Edo period (1603-1868) around coastal areas of Fukuyama. 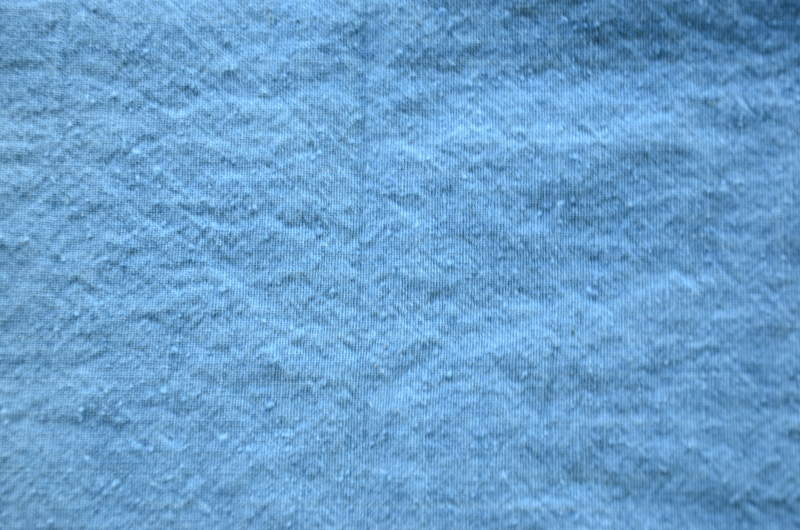 Due to its high durability and excellent heat retention, the textile was widely used as work clothes. In other words, it can be said to have been the “Japanese denim”. 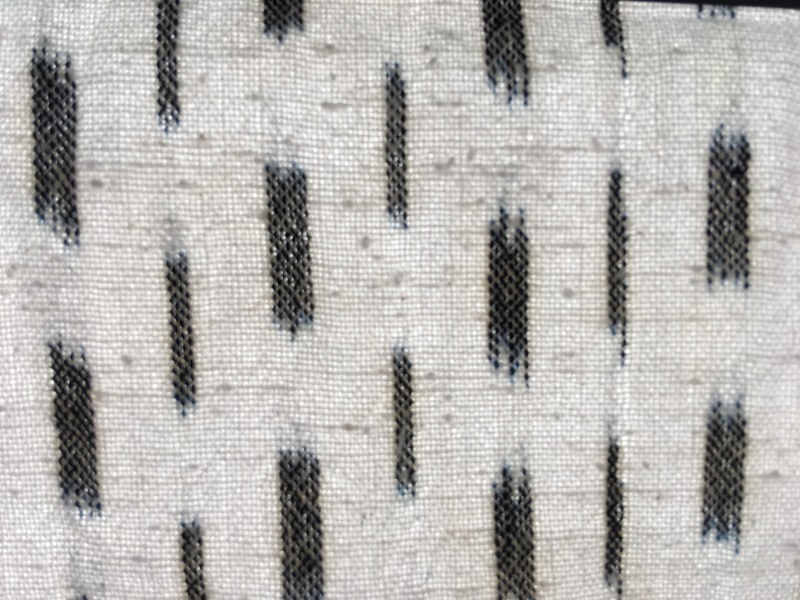 This material is made by weaving randomly dyed warp, using brush strokes, into the textile. Bingo Kasuri is a product of the history of encouraged cotton cultivation during Edo period (1603-1868) around coastal areas of Fukuyama. Due to its high durability and excellent heat retention, the textile was widely used as work clothes. In other words, it can be said to have been the “Japanese denim”. 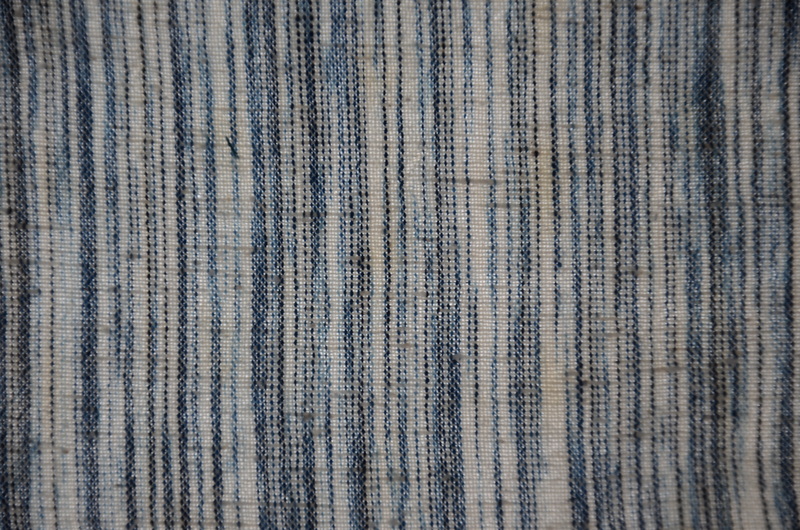 This material is made by weaving randomly indigo dyed warp. Bingo Kasuri is a product of the history of encouraged cotton cultivation during Edo period (1603-1868) around coastal areas of Fukuyama. Due to its high durability and excellent heat retention, the textile was widely used as work clothes. In other words, it can be said to have been the “Japanese denim”. 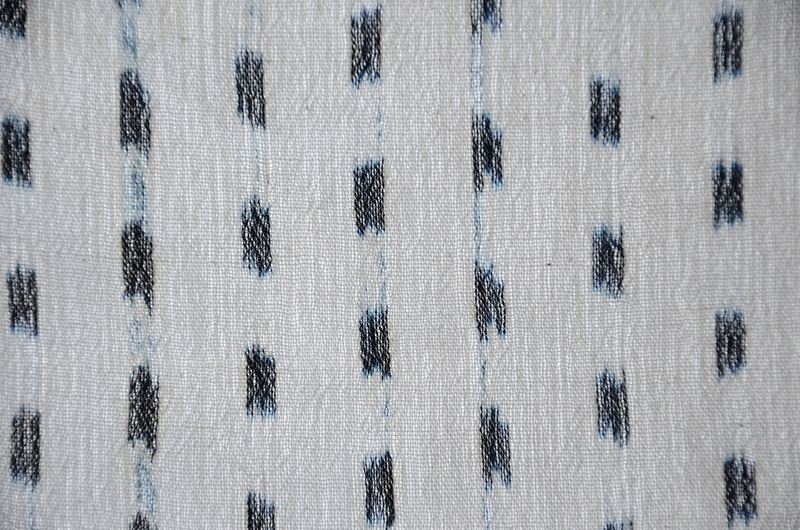 This material is made by weaving square kasuri patterns using white threads onto indigo dyed textile. Bingo Kasuri is a product of the history of encouraged cotton cultivation during Edo period (1603-1868) around coastal areas of Fukuyama. Due to its high durability and excellent heat retention, the textile was widely used as work clothes. In other words, it can be said to have been the “Japanese denim”. This particular kasuri is special because of its arrow design, which has been used for Japanese wedding ceremonies and related events for the brides due to the fact that an arrow never goes backwards and moves only forwards. Bingo Kasuri is a product of the history of encouraged cotton cultivation during Edo period (1603-1868) around coastal areas of Fukuyama. 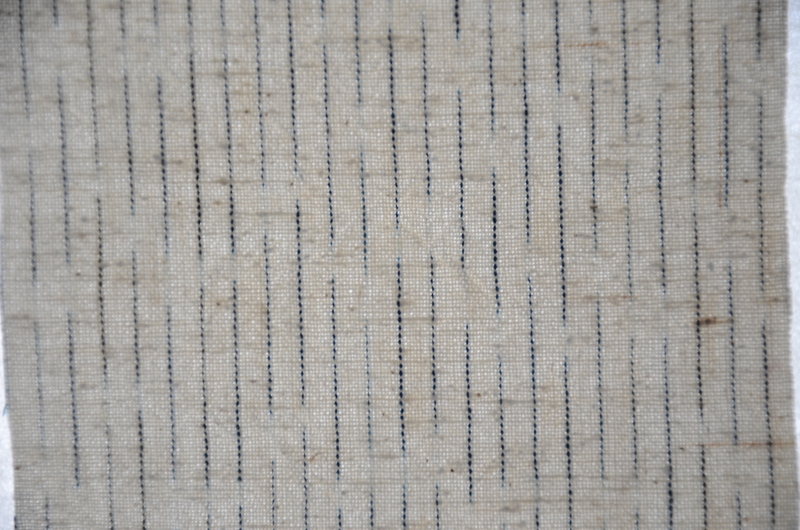 Due to its high durability and excellent heat retention, the textile was widely used as work clothes. 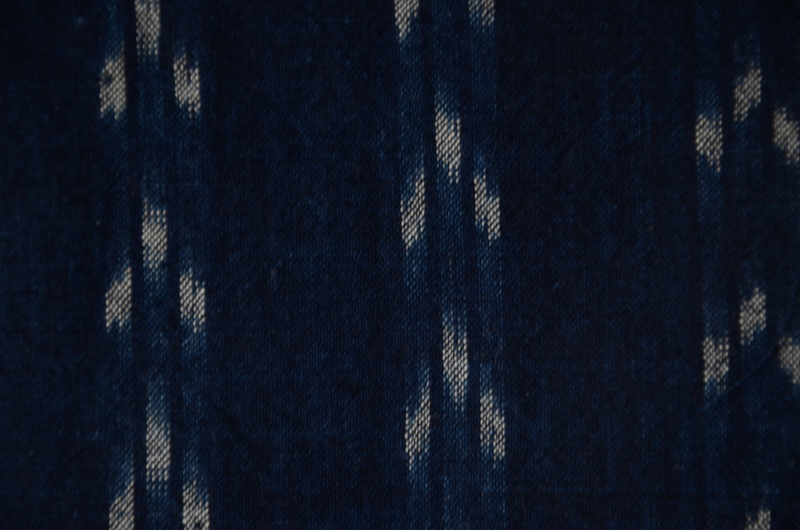 In other words, it can be said to have been the “Japanese denim”. 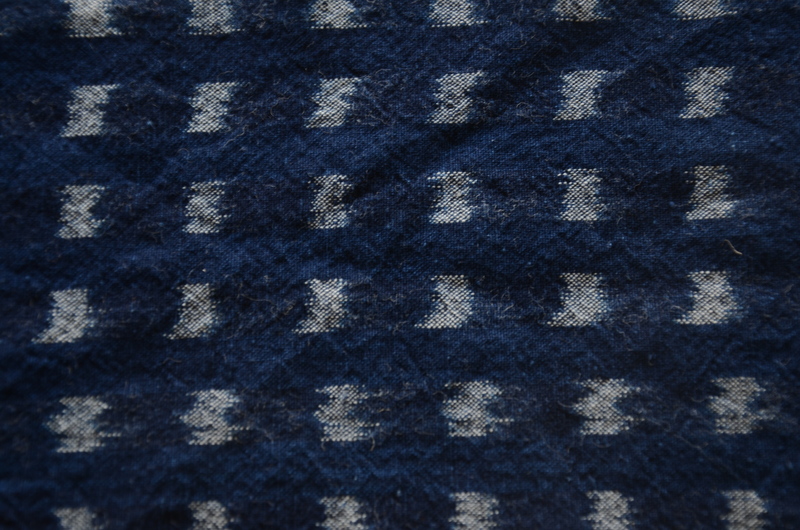 This material has square kasuri patterns on indigo textile.